If you are in the market for hydraulic jacks you have come to the right place. 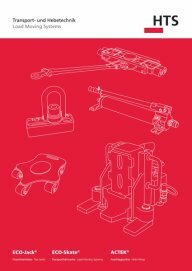 HTS Direct can provide you with a wide range of hydraulic jacks, each capable of performing to the highest standard. Whether you are lifting or pulling or forcing, you will find a wide range of essential and universal hydraulic jacks that can take on and perform a wide variety of tasks faster and safer than any other tool. Hydraulic jacks should be your first choice if you are hauling heavy loads, moving structural items around, even setting up rigging. The most common form of hydraulic jack is the toe jack. This type of hydraulic jack offers a mechanical advantage which allows you to lift heavy loads with ease. Simply place the hydraulic jack in a stable position, adjust the toe as needed, pump up the load and move it anywhere you want. Hydraulic toe jacks are designed to lift heavier loads than their mechanical counterparts which are designed for lighter work and which still entail hand operated force on your part. With a hydraulic jack it is as simple as pumping a bicycle tire and most hydraulic jacks has at least a 25 ton lifting capacity. How can you afford to be without a hydraulic jack? The hydraulic jack came into being through a process of evolution. First invented by a man named Richard Dudgeon, this man was granted a patent for his hydraulic jack in 1851. Since then the hydraulic jack we know and recognize has come a long way and holds special relevance today thanks to their capacity to lift and move weights that would be almost impossible without their help. Although they are most commonly thought of in terms of construction, hydraulic jacks are widely used in almost any industry or situation imaginable. Hydraulic jacks are versatile and can be used in tight spots; they provide great leverage, they don’t need a high level of expertise to operate nor do they require brawn as they rely on hydraulic power for maximum lift. As already mentioned, a hydraulic toe jack is a universal tool recognized and used across the world, outweighing the advantages of conventional screw jacks by leaps and bounds. Simply constructed of two cylinders, these hydraulic jacks work on the principle of Pascal’s Law. Pascal’s Law suggests that when there is an increase in pressure anywhere in a container of fluid the result is an equal amount pressure building up at every point within the container. We at HTS Direct understand our customers differing needs and we strive to satisfy these requirements. Our range of hydraulic jacks is wide and includes models that suit many purposes including what we call “clean room” machinery. This hydraulic jack is designed for situations that demand a high level of hygiene and cleanliness such as medical or food industries and for this reason this hydraulic jack is constructed from nickel plated materials and nylon wheels that diminish the possibility of static or friction. Our S-Series hydraulic toe jacks are considered the original hydraulic jack. 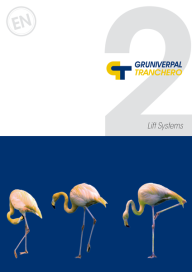 Ideal for lifting heavy loads they are easily placed and with the aid of an attached hydraulic unit lift with ease. They sport side mounted grab handles users can rotate the pump 225 degrees in all positions and they also come equipped with another hydraulic pump which helps this little marvel lift up to three times faster than usual when not ‘under load’. Unlike the original S-Series hydraulic jack we offer the Eco-Jack which operates in conjunction with the services of an external pump such as the SX-Series external pump. This external hydraulic jack comes equipped with an integrated pull back system designed to ease the load while speeding up the process, particularly helpful when you are working in small spaces. This hydraulic jack is compact and substantially lighter which makes it possible for one person to operate more than one hydraulic jack at the same time. The pull back system comes into operation when this hydraulic jack is used in conjunction with either a mechanical or an electrical pump. The Conqueror hydraulic toe jack or the C–Series hydraulic jack is encased in a housing capable of revolves up to 360 degrees and which offers an in built protection function that protects it from and minimises damage. This is a versatile hydraulic jack has a low claw height which makes it the ideal tool for most situations. In the family of low claw lifting heights we offer the G-Series hydraulic jack which combines a hydraulic pump that completely eliminates the need for additional pumps or pump hoses. This hydraulic jack features a low profile lifting toe that makes this hydraulic jack essential for fitting on any type of fork lift, stackers or anything that sits close to the ground.